We recognise that the CRM space is a crowded one, and that there is a lot of possible vendors for you to choose from. This can be a daunting task that can have a very real impact on the outcome of your CRM project, it is therefore a crucial one! So we would recommend to clearly define your requirements and prioritise which are most important. This spreadsheet is broken into different tabs, reflecting the different parts of your business that can impact your CRM project. We would also recommend you involve as many of the stakeholders as you can, both managers and the employees who will ultimately be using the CRM. 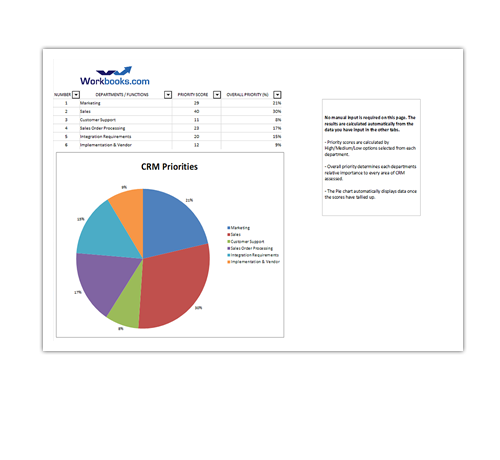 Download the template now to start assessing the various moving parts of your CRM initiative.